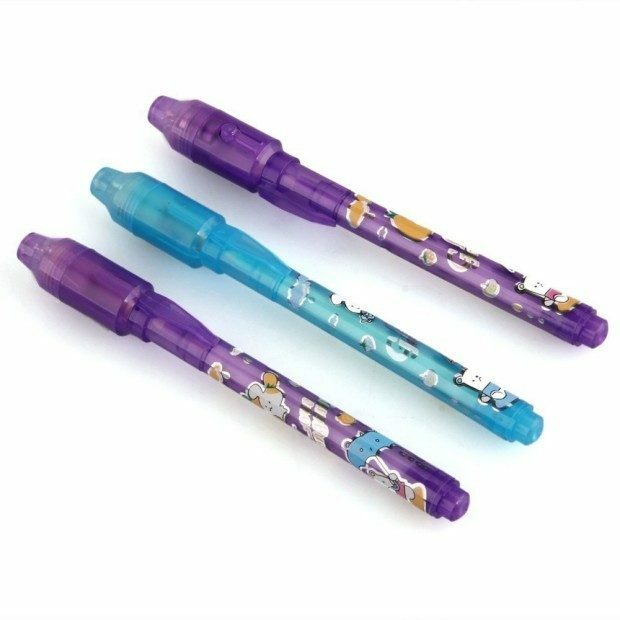 3 Invisible Ink Spy Pens with Built in UV Light Only $2.32 With FREE Shipping! You are here: Home / Great Deals / Amazon Deals / 3 Invisible Ink Spy Pens with Built in UV Light Only $2.32 With FREE Shipping! If your kids love writing secret messages, here’s a great deal on Amazon! Right now you can these 3 Invisible Ink Spy Pens with Built in UV Light for only $2.32 with FREE shipping! Brand new & high quality This pen is very interesting. After you’ve written, the handwriting is transparent. If you use LED light on the cap to shine on it, you will see the words.